Because The Green Lantern reboot is still well over four years away from being released it’s hard to get overly excited about it. Especially since there are so many DC films to trek through before we can even start to anticipate the latest cinematic incarnation of the beloved comic book character. 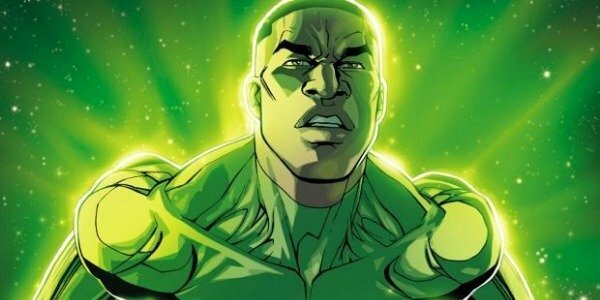 But the latest rumor regarding The Green Lantern is almost certainly going to amp up your interest in the blockbuster, as it’s been speculated that it will see Hal Jordan and John Stewart team up in what’s been described as "Lethal Weapon in space." Immediately intrigued, right? Thought so, and this what sources are telling JoBlo. However, this rising excitement should probably be kept in check because there are numerous reasons why it could ultimately prove to be false. First and foremost of which is the fact that we’re still so far away from The Green Lantern being released, which means that we can expect the blockbuster’s script to be chopped and changed several times before production begins. But, despite this trepidation, it’s hard not to get buoyed beyond belief by the tantalising tagline of "Lethal Weapon in space." What I’m immediately picturing is Hal Jordan and John Stewart comically bickering like a married couple while they float past asteroids fighting tyranical aliens. Anything remotely in that ball park will suffice. But there are a few reasons to believe that the above description could actually become a reality. Green Lantern was retitled Green Lantern Corps earlier this summer, the name of the intergalactic military/police force that oversees each of its members. The fact that they have decided to name their film Green Lantern Corps suggests that they are going to focus on more than one Green Lantern. Those of you that saw 2011’s Green Lantern, starring Ryan Reynolds, will already be up to speed with Hal Jordan and his backstory, which saw him become the first human member of the Green Lantern Corps. But you might not know too much about John Stewart’s tale. Originally an architect, Stewart was selected by the Guardians Of The Universe as Hal Jordan’s Green Lantern backup. Hal Jordan and John Stewart didn’t particularly see eye to eye at the start because of Stewart’s rather belligerent attitude to authority figures. But after training him and working on a number of cases together, they soon formed an impressive alliance. As I mentioned before, we’re still way too far away to know if this rumor is actually true, but if it is, then Green Lantern Corps just immediately became the most exciting entry into DC's catalogue. Which is why it's a shame that it's June 19, 2020 is still so, so far away.